Riccarton Road. Let me tell you about Riccarton Rd. It is recognised as the longest, straightest road in NZ. On Friday, it’s chocker. I looked for a break in the traffic and made a run to cross. Then, my hat blew off. I was obliged to make like Douglas Nottingham Fairbanks Snr, and swerve among the slow moving traffic to get my hat, as it bounced over engine and bonnet. Yes, Riccarton Road, Christchurch. I should cocoa. Is Mosgiel’s like that? 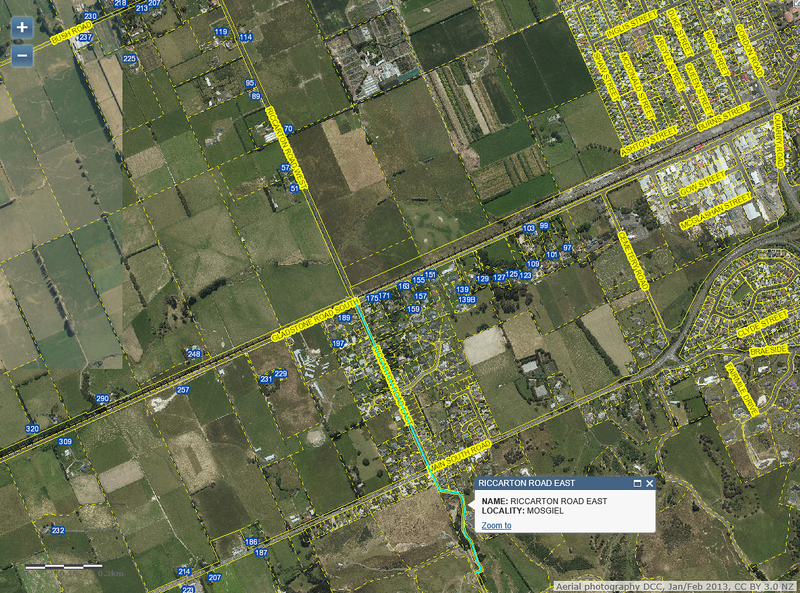 How is it that Dillon can move to have parts of the road network changed, when he has business interests on the network. Did he declare his interest? 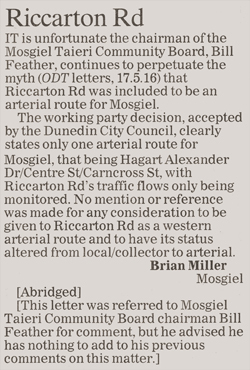 Mr Feather lives at 1 Brookside Pl, Mosgiel. That is only accessible through Hagart Alexander Drive. Need I say more.